Smoothie King, which made its foray into the Middle East recently with its first outlet in Dubai, UAE, plans to open 45 stores in the region in the next five years. The new outlet is located on the ground floor of BurJuman, one of the oldest shopping malls in the UAE. The outlet has been launched by Al Ghurair Retail, part of Al Ghurair, following an area development agreement signed with the international smoothie brand. Smoothie King is claimed to be the industry’s first and original nutritional fruit and function-based brand offering fresh blended smoothies. 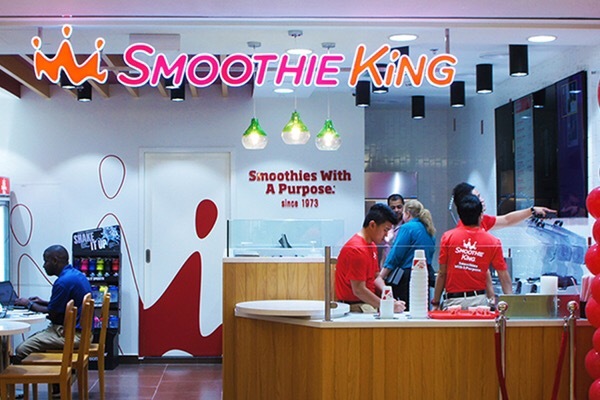 “With a product offering that is fully customizable and includes a wide variety of nutritional smoothies, Smoothie King’s value proposition has been unmatched for nearly half a century. With our focus shifting to international markets growth, expansion in the Middle East is an important step forward in our ambitious growth plans of opening more than 1,000 new franchises worldwide by the end of 2017. The UAE is the perfect launch pad for a brand such as ours as we draw up plans with Al Ghurair Retail to expand Smoothie King’s presence in the country and launch across the GCC in the coming years”, said Smoothie King’s owner and CEO, Wan Kim. Real estate professionals from Smoothie King worked closely with Al Ghurair Retail to choose the ideal location for the brand’s inaugural outlet in Dubai’s vibrant neighbourhood of Bur Dubai. Posted on September 22, 2016, in Other. Bookmark the permalink. Leave a comment.